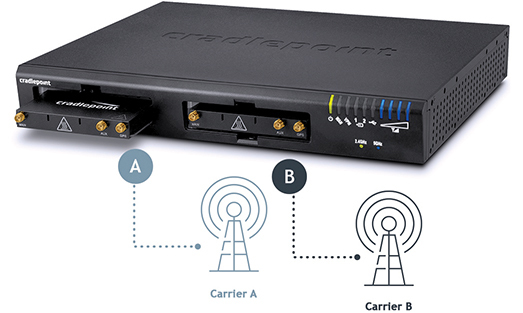 The Cradlepoint AER3150 is an advanced edge routing solution that combines cloud management, advanced security (UTM), WAN Diversity, industry leading 4G LTE failover, high-performance WiFi, and dual modem capabilities for deployment versatility when wired lines are too costly or not available. 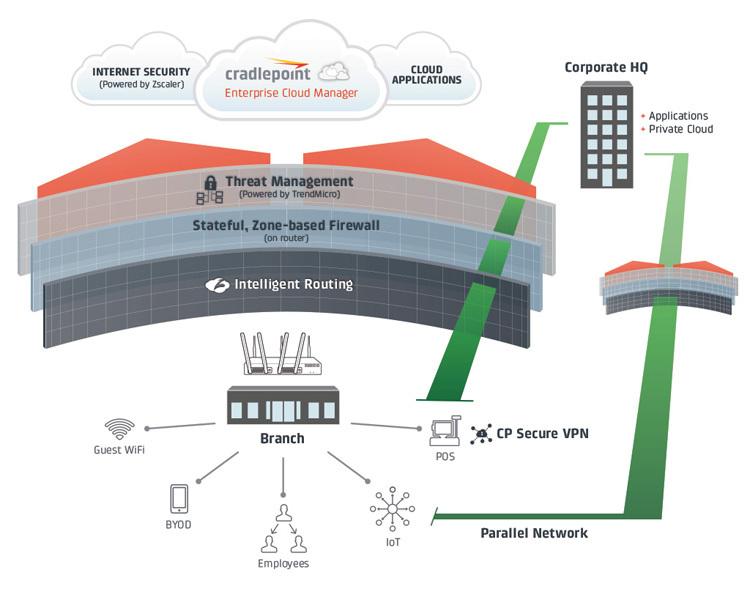 The Cradlepoint AER Series of advanced edge routing platforms combines enterprise routing, multi-WAN support—wired plus 4G wireless, SD-WAN capabilities, advanced security, private network support, and high-performance WiFi in a series of routers that can be deployed, managed, and optimized via the cloud. 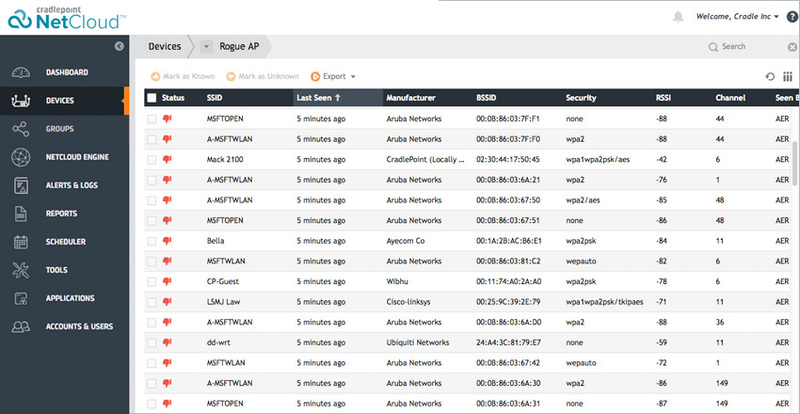 With the combination of Cradlepoint AER routers and NetCloud software and services, administrators can define, deploy, and manage branch networks on a highly capable solution platform that is customizable and lowers the total cost of ownership. 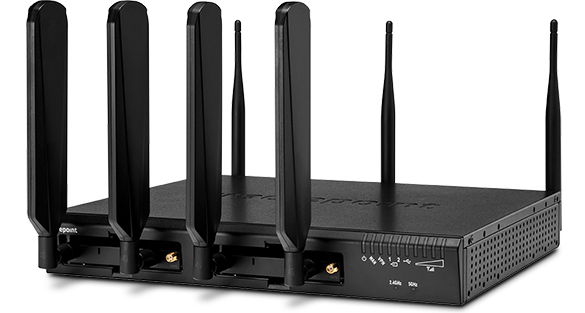 AER3100/AER3150 LP6 models include an integrated LTE Advanced Category 6 4G LTE modem. The LP6 modems support SIM-Based Auto-Carrier selection so there is only one model for all of North America. Simply insert the SIM and wait for the router to automatically detect the SIM and establish a connection. The LTE bands certified for each carrier are listed below. 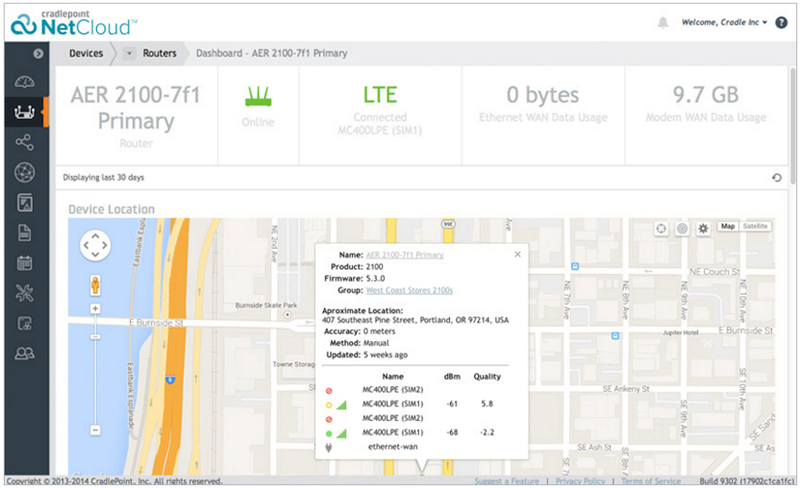 AER3100/AER3150 LP5 models include an integrated LTE Advanced Category 6 4G LTE modem, and support Asia Pacific and Saudi Arabia. The LP5 modems support SIM-Based Auto-Carrier selection. Simply insert the SIM and wait for the router to automatically detect the SIM and establish a connection. 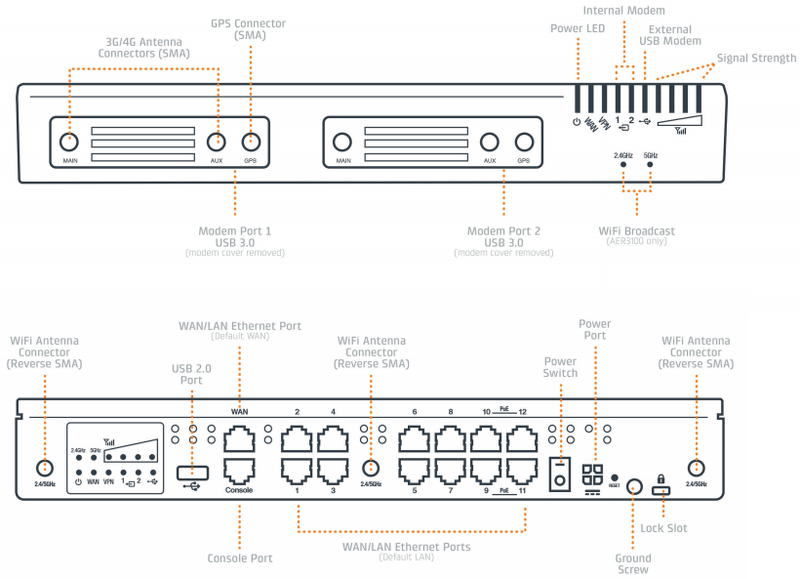 AER3100/AER3150 models include an integrated 4G LTE Multi-Carrier Software-Defined radio modem (MC400); specific model names include a specific modem (e.g., the AER3100LPE-VZ includes an MC400LPE-VZ modem for Verizon). Please note that LPE models are flexible and support bands for multiple cellular providers; however, only the frequency bands in bold below are supported by the listed provider. Cradlepoint Extensibility enables customers and developers to build one-of-a-kind applications and vertical solutions by extending key elements of the Cradlepoint platform. By leveraging our hardware, firmware, and cloud services, developers can add differentiation and unique value to the solutions they offer. 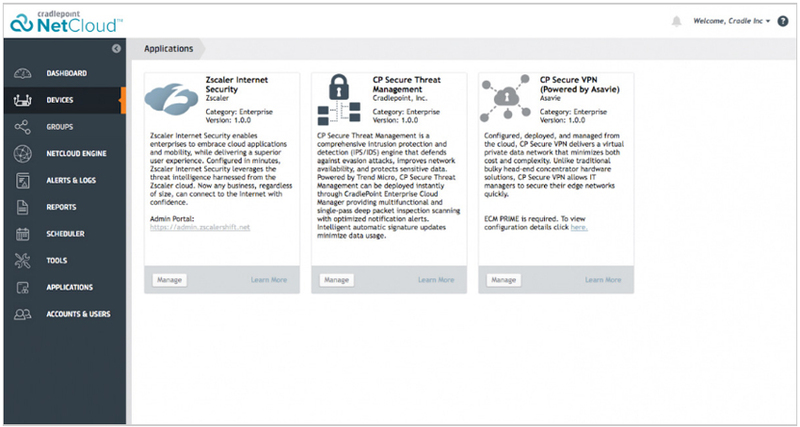 Build custom vertical applications securely running at the Edge, protected on device, and deployed through the cloud. Manage, deploy, and monitor customer Edge applications from the cloud across the entire fleet. Cradlepoint’s API provides the building blocks developers need to craft applications that access the data from a software platform. 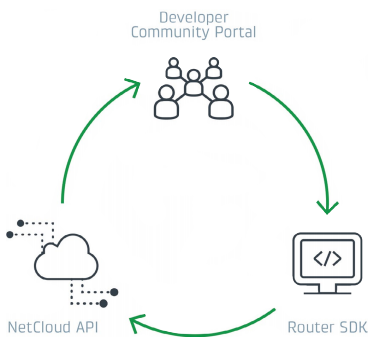 The Cradlepoint Developer Community enables members to leverage knowledge, share, and collaborate with other developers. 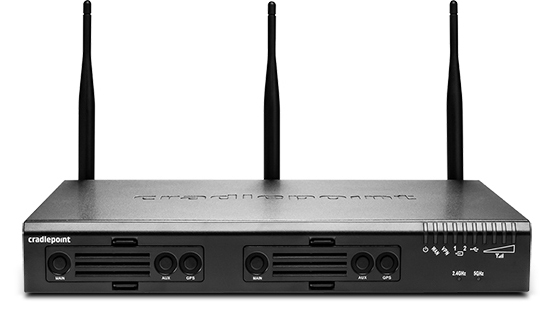 Connect confidently at the network's edge with Cradlepoint AER, the cloud-managed Advanced Edge Router that supports both wired (Broadband/MPLS) and 4G LTE wireless. Below is a list of carrier-supplied modems compatible with the AER3100/AER3150.